The Niagara River Water Diversion Treaty between Canada and the United States was created because of the concern of the uses of the waters of the Niagara River. The treaty was signed on February 27th 1950 and came into force October 10th 1950. 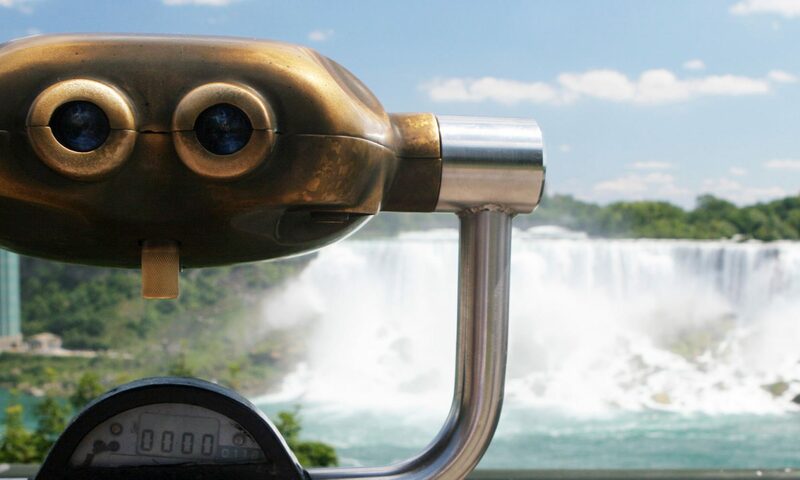 Its purpose is to preserve and enhance the scenic beauty of Niagara Falls and the Niagara River, while providing for the most beneficial use of the river waters. Limitations on the amount of water diverted from the Niagara River for power generation purposes initially established by the Boundary Waters Treaty of 1909 were terminated and replaced by the 1950 treaty. Temporary diversion agreements for power generation in 1941 and 1948 agreements between the two Governments were revoked. The Niagara River Water Treaty of 1950 established new limitations of water diversion for power generation. Not to include the amount of water used and necessary for domestic/sanitary purposes and for the canals for navigation purposes. No less than 100,000 cubic feet of water per second (cf/s) From April 1st to September 15th (inclusive) between 8 a.m. and 10 p.m.
No less than 100,000 cubic feet of water per second (cf/s) from September 16th to October 31st (inclusive) between 8 a.m. and 8 p.m. The specified rates of water flow over the Falls (listed above) are mandatory minimums. All water specified in this Treaty in excess of water reserved for scenic purposes may be diverted for power purposes. On April 17th 1973, the governments agreed to use Eastern Daylight Savings Time as the basis of interpreting the hours specified by section IV of the treaty. "Until such time as there are facilities in the territory of one party to use its full share of the diversions of water for power purposes agreed upon in this Treaty, the other party may use the portion of that share for the use of which facilities are not available". In order to best utilize the water available for diversion, the New York State Power Authority and Ontario Power Generation signed an agreement on January 19th 1965 to share generation capacity. Both power companies have rented available power generating capacity from each other to maximize utilization of their respective shares of water available for power production. Original ownership of the water shares has been maintained. This agreement allows each company to minimize the costs of equipment outages and to provide for the handling of ice problems. In simple terms, when Ontario Power Generation (OPG) – Sir Adam Beck Power Stations (Canada) has surplus water shares available for diversion and no extra generation capacity, they rent the generation capacity available at New York State Power Authority (NYSPA) – Robert Moses Power Station for power generation. The power generated is for the use of Ontario Power Generation. This agreement is reciprocal and NYSPA does the same with their surplus water share. The power companies of both countries continue to upgrade their power generators to increase power capacity however their respective abilities to draw water are limited by not only the terms of this treaty but their capacity to draw available waters (refer below). Ontario Power Generation has combined water drawing capacity of 72,400 cubic feet per second (includes DeCew Falls Generating Station). At present, New York State Power Authority – Robert Moses Generating Station has a water drawing advantage of approximately 36,600 cubic feet per second. There are occasions when power generation is reduced below actual capacity at times of low water flow rates in order to maintain the treaty minimal flow over the Falls. There are occasions when the amount of water in the Niagara River available for diversion exceeds the ability of the power stations to draw this excess. Currently the Ontario Power Generation and the Ontario Government are studying methods upon which to increase their water share drawing capacity in order to increase power generation capacity. "…The two countries share the water for power production as per Article VI. This amount, of course, depends on the river flow which changes constantly. When the level of Lake Erie, and its corresponding outflow, is low, there may not be sufficient water available for maximum power generation…..in either country. On the other hand, when the opposite is true i.e. high lake levels and river flows the amount of water available for power production exceeds generation/diversion capacity and water will be "spilled" over the Falls (in other words in amounts greater than the required Falls flow minimum). A program of unit upgrades at both Ontario Power Generation’s Sir Adam Beck and the New York Power Authority’s Robert Moses Niagara Power Project, begun in the 1990s and due for completion in the next couple of years has been increasing this generation/discharge capacity. While the tunnels on the U.S. side are capable of handling their diversions, in all but the most extreme case (short term storm events which can result in very high flow conditions), a new OPG tunnel or tunnels and additional generating station would increase the frequency of maximum water diversion for power generation on the Canadian side…"
The Niagara River Water Diversion Treaty came into force upon the date of the exchange of ratifications [Oct. 10, 1950] and continues in force for a period of 50 years and thereafter until 1 year from the day on which either party shall give notice to the other party of its intention of terminating the Treaty. Neither the Lake Erie outflow to the Niagara River nor the flow at Queenston are measured on a continuous, real-time basis. They are calculated. Values are calculated from rating tables that determine discharge from the plant generators, based on power output for the operating head, and the outflow from the Maid-of-the-Mist Pool which is determined from a rating curve for the Ashland Avenue gauge…..an equation established from field measurements and verified on a regular basis.